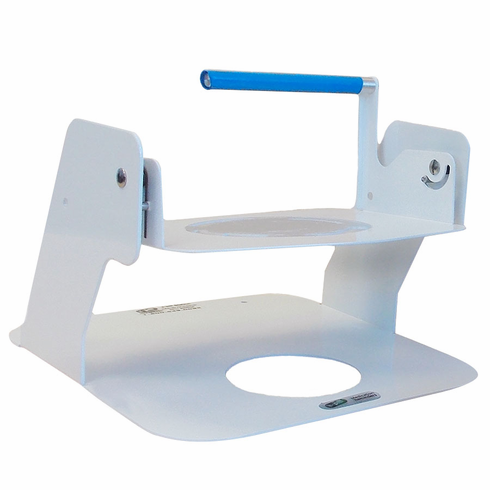 An e-pill Tipper can be supplied for those with insufficient strength, medication induced tremors or limited dexterity to lift and dispense their medications from an automatic pill dispenser. Works similar to a Kettle Tipper / Tea Tipper. Patent US 9,198,834 and 9,539,177. Includes Stainless Steel Medicine Cup. It can be used with the following automatic pill dispensers: e-pill Med-Time, e-pill Med-Time XL, e-pill MedTime PLUS, e-pill MD1, e-pill MD1 PLUS, MED-TIME 651, Med-Time 651, e-pill Med-Time XL, e-pill MedTime PLUS, Careousel and Careousel ADVANCE Pill Dispensers. Learn how the e-pill Tipper works for your automatic pill dispenser: VIDEO How the e-pill Tipper Works. NOTE Pill Dispenser NOT included.